As Baltimore continues to recover from the violence that swept through the city Monday after the funeral of Freddie Gray, questions remain unanswered about how the 25-year-old suffered the spinal cord injury that led to his death. Protesters have been clamoring for answers while the Baltimore Police Department continues its investigation. Given the department’s long history of misconduct, plenty of observers wonder if it should even be allowed to investigate itself. City officials have said that they will release a full report May 1, but the lack of any details on the progress of the investigation may be inflaming the situation. What we know is that after a roughly 45-minute interaction with police, when he was placed under arrest and put into a van, Gray suffered a severe spinal cord injury that led to his death a week later. * At 8:39 a.m., Gray, along with another man, took off running after locking eyes with police, according to police and witnesses at the scene. At 8:40 a.m., Gray was caught. He gave up without force, according to police. Eyewitness video of the arrest showed Gray screaming in pain and dragging his leg as police took him away in handcuffs. * At 8:42 a.m., police called for a wagon, at which point Gray—who had asthma—asked for an inhaler. He didn’t receive one. Police have admitted that they did not give Gray timely medical attention when he requested it, which he did multiple times. * At 8:46 a.m., the driver of the van said that Gray was acting “irate.” A unit requested that the van stop to complete some paperwork. During the stop, Gray was put in leg shackles. Police have acknowledged they did not put a seat belt on Gray when he was returned to the van, as required by law. * At 8:59 a.m., there was a request by the van driver for an additional unit to check on Gray. Gray’s condition is unknown. * At some point thereafter, the van stopped to pick up another suspect. No details about this suspect have been made public. * At 9:24 a.m., officers called for a medic because Gray was in “serious medical distress” and unresponsive. He was taken to a trauma center, where he slipped into a coma and died a week later, on April 19. Six officers involved in the arrested have been suspended with pay while the investigation continues. Five of the six officers have also given statements that have yet to be released. 1. Why did police officers chase after Gray? “There is no law against running,” said Baltimore Police Commissioner Anthony W. Batts at a press conference April 20. Batts said that the investigation would include finding out more details about what prompted the chase, which included officers on bike and on foot. The charging documents indicate that police chased Gray because he “fled unprovoked upon noticing police presence.” When police finally caught up to Gray, an officer noticed a knife clip on Gray’s right front pocket. He was arrested, and the knife—a switchblade type that police say violates city code—was confiscated. 2. What happened to Gray after he was put in leg shackles during that first stop? The driver of the van indicated that Gray was acting “irate.” Gray was taken out of the van so that police could put him in shackles. What happened next is unclear. 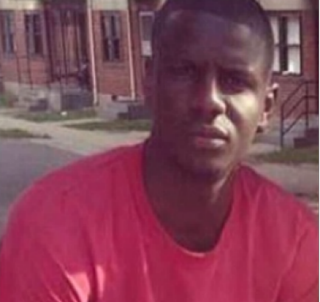 Witnesses told the Baltimore Sun that police beat Gray during the stop. Police said that a preliminary report indicated that there were no signs that Gray was punched or kicked. His only injury, police say, was to his spinal cord. A full autopsy has not been released. 3. What was Gray’s condition when the van picked up the second suspect? When police picked up that second suspect and placed him (or her) in the van, Gray spoke to the officers, according to Rodriguez. What did he say, and what was his condition after that conversation? 4. What did the second suspect witness? According to Rodriguez, the second suspect—who was loaded on the other side of the van, which has a metal barrier down the middle to separate passengers—has been interviewed. Because of the metal barrier, he (or she) couldn’t see Gray but could hear him. What did the second suspect tell police? 5. Why haven’t police released 911 and dispatch calls related to Gray’s arrest? So far, police have not released any tapes of 911 calls related to Gray’s arrest or of calls between the police van that Gray was riding in and dispatch, citing the open investigation. But the Gray family’s attorney Jason Downs told ABC News that information should be released. “To our knowledge, there is absolutely no legal reason” for police to withhold that possible evidence, Downs said. 6. What about more video footage of the arrest? Police said that they would release more video of the incident as it became available. But an attorney for the Gray family said that police may have missed an opportunity to get more footage because they failed to act quickly. Attorney Mary Koch told MSNBC’s Lawrence O’Donnell on Monday that she wants a better explanation for why police didn’t immediately act to collect security video footage from businesses and other locations that might have filled in some holes. She told a story about an individual who had a security camera facing one of the intersections where the police van made a stop. But officers didn’t ask for the video until eight or nine days after Gray had been arrested. Because the video was on a six-day loop, the video from that day had already been recorded over. “You have to ask yourself why, with that information immediately available to the police officers, why wasn’t that something that was pursued immediately?” Koch said.